Guide: bulk branded jolly beans prices. 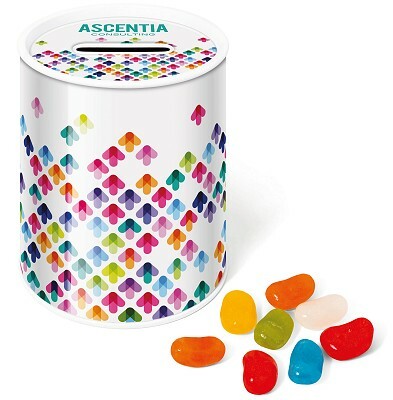 A Money box tin is fully branded with your artwork in full colour and filled with a mixture of Jolly Beans. Print Area Dome lid: 70mm with a 38 x 11mm slot.